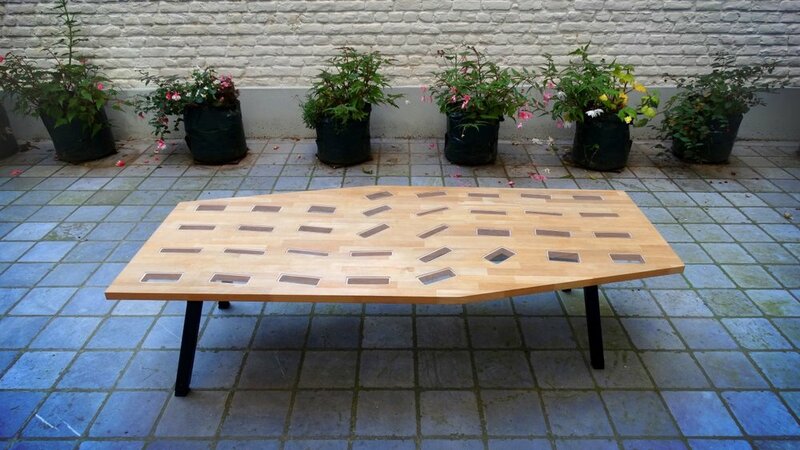 This table for personal use was designed and crafted during the summer of 2013. 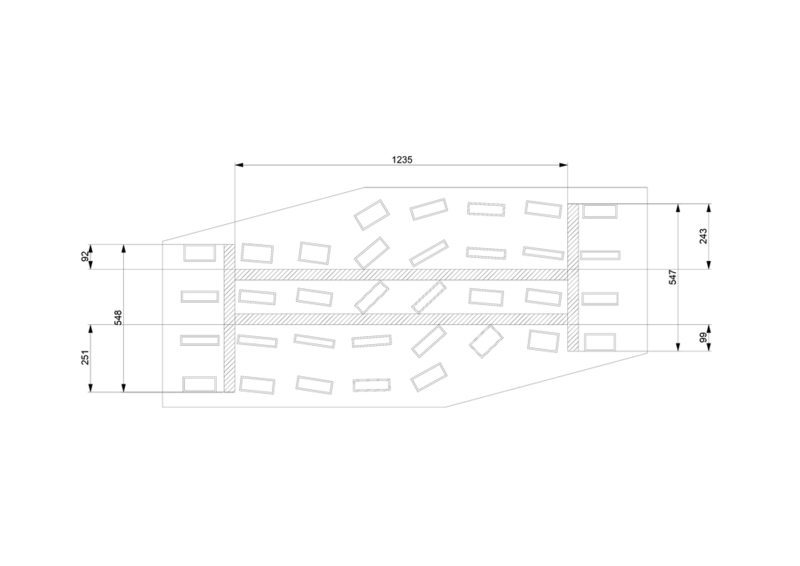 Its skewed, hexagonal shape opens up new possibilities for shared eating, working, and sitting, which is further enhanced by the flowing pattern of rectangular holes. The steel, telescopic paws follow the same aesthetic, and allow for use both as a desk and lower table. The wooden plate is cut with a robotic CNC at FabLabXL, Brussels, with the help of Stijn De Mil. The pattern of holes was inlaid with transparant acrylic, cut with a lasercutter at the same location. The welding of the steel frame was done by Koen Verhoeven.